Okay, I will admit it, there has been a lot of reminiscing on this blog over the past few weeks. If you’re not a fan of those bands in which I’ve gushed over, my apologies. I will always hold them in my heart, and am even considering replacing my cassette tapes with CDs, however, I am moving on. I promise! With that out-of-the-way, I wanted to make my predictions for the song of the summer. You know, the one that gets played to death and come August, you’ve had enough. Or not. Maybe it’ll be the song that you love the most and can never get enough of. Either way, there are a few contenders this year. In no particular order, I think the songs fighting for that spot are: Can’t Hold Us, by Macklemore & Ryan Lewis, featuring Ray Dalton. Blurred Lines, by Robin Thicke, featuring T.I. and Pharrell Williams. Inner Ninja, by Classified, featuring David Myles and Get Lucky, by Daft Punk featuring Pharrell Williams. Personally, I love all these songs. And although subject matter varies and can be questionable at times, I am confident to say that all will get equal (and clean) air time and be the songs played at cottages, in backyards, on boats and at summer jams. 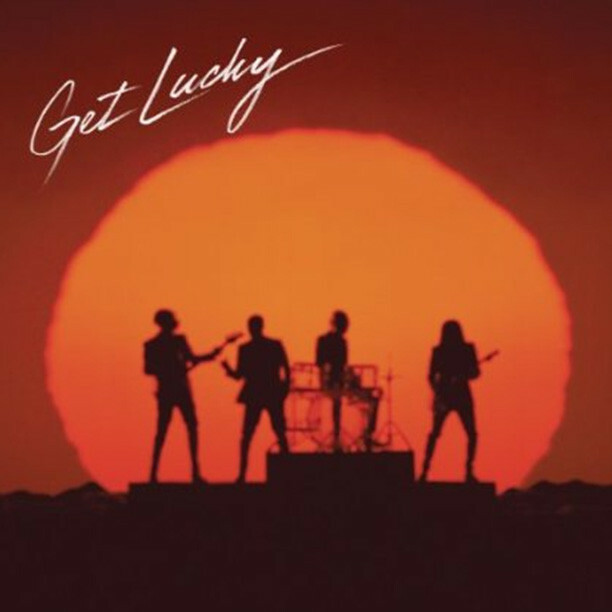 But if I had to pick one, I’m going to go out on a limb and say that the official song of the summer will be Daft Punk’s Get Lucky. I think there is something about the beat, the way it makes you move no matter where you are and apparently it’s a recipe for success if Pharrell Williams is featured on your songs. So, here’s your Music Monday pick. Enjoy! Posted in Music MondayTagged Can't Hold Us, Classified, Daft Punk, David Myles, Get Lucky, Inner Ninja, Macklemore & Ryan Lewis, Music Mondays, Pharrell Williams, Ray Dalton, Robin Thick, T.I.